Are your current sneakers not as, uh, baller as you’d like? Maybe these Adidas Originals are just the thing. 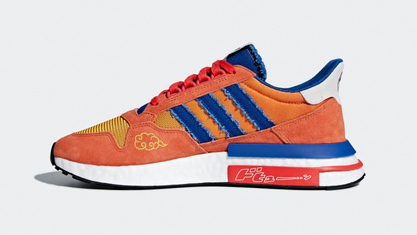 The shoe maker has just unveiled the packaging, pricing and release date for the first two pairs in its planned line of Dragon Ball Z-inspired kicks: Goku adidas ZX 500 RM and Frieza Yung 1. 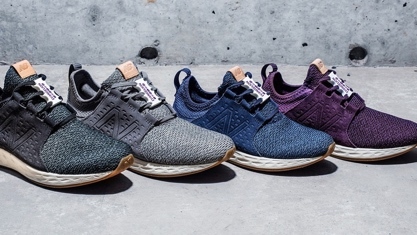 It reminds me of those ads Clara and I saw everywhere in Osaka last year for the New Balance Evangelion shoes. Come to think of it, what did they look like? Update: Matt Schley covered them as well! I agree with him their resemblence to the Evangelion franchise is all but incidental, but what gorgeous colours.